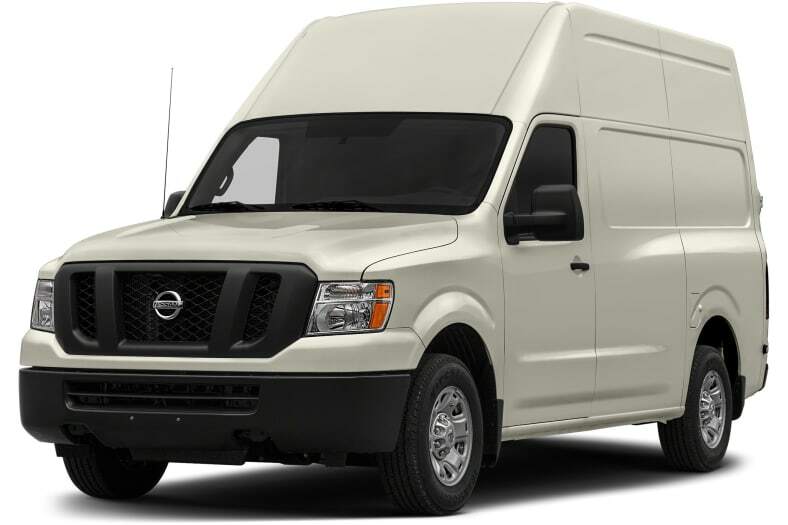 The Nissan NV Cargo Van represents an alternative for those seeking a versatile work vehicle. Along with rugged body-on-frame construction and a comfortable front cabin area, it offers two roof heights, a sliding side door, full rear access, flexible storage and workspace solutions and over 300 cubic feet of available cargo capacity to meet commercial needs. The two-passenger rear-wheel drive NV Cargo NV3500 HD is available in three trim levels - S V8, SV V8, SL V8 - and offers a choice of both Standard and High Roof configurations. Power is provided by a 317-hp 5.6-liter V8 engine, paired with a five-speed automatic transmission. Standard equipment on the S grade includes 17-inch wheels, durable cloth upholstery, air conditioning and a CD player, while the SV grade adds chrome exterior elements, power front windows, a power driver's seat, cruise control, remote keyless entry, rear parking sensors and a security alarm system. All trim levels are also outfitted with a multifunction floor console, featuring a sliding table and dedicated lockable storage for items such as clipboards, folders and a laptop; High Roof versions have a modular overhead console for additional storage, as well as standing/walk-through capability. Available options include: a Rear Door Glass Package and a Technology Package that incorporates Bluetooth wireless connectivity, a USB port, satellite radio and a rearview monitor, along with NissanConnect with Navigation + NissanConnect Apps, offering a 5.8-inch touchscreen display, voice recognition, wireless audio streaming, selective internet access and smartphone integration. For 2015, a new SL trim has been added, featuring chrome bumpers/grille/door handles, heated exterior mirrors, heated driver's seat, front seat side airbags and overhead curtain airbags, and a security system.